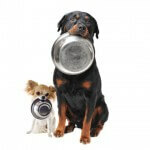 Pet food is a hot topic for clients and veterinarians alike. Recalls involving pet foods and treats over the past several years have caused many caring pet owners to become distrustful of the entire pet food industry. 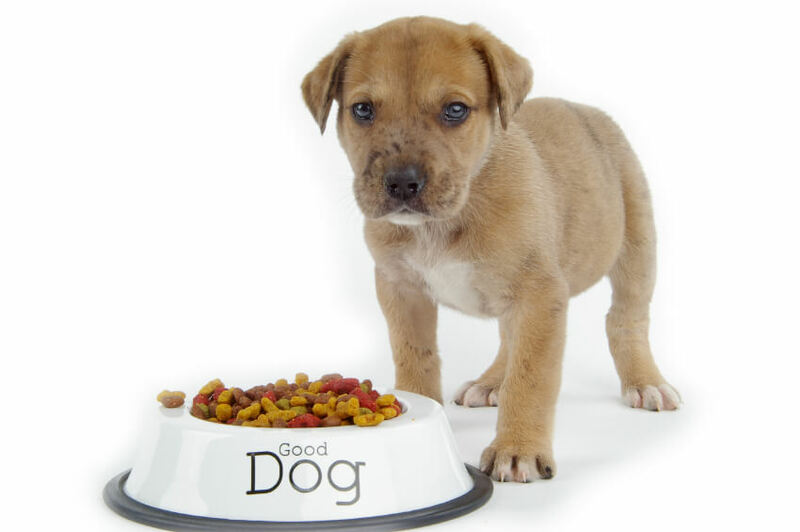 Aggressive and misleading advertising by certain pet food brands has given owners false hope that if they feed Fido “Brand X” dog food, Fido will never have health problems again. 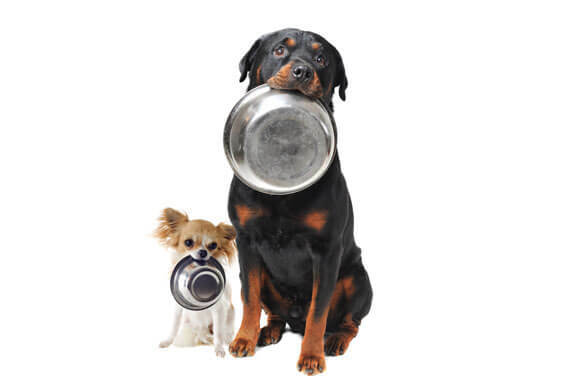 Couple this with the fact that pet food manufacturers are not required to provide obvious calorie information on cat and dog food packaging (as the FDA requires for all packaged human food) and we have a perfect storm of pet food confusion. In my opinion, the lack of transparency in the pet food industry, the lack of governmental oversight, the lack of controlled, peer-reviewed scientific studies on the vast majority of pet foods and the lack of nutritional data are significant contributors to the pet obesity epidemic in America and to the confusion experienced by pet owners when trying to choose the right food. 1.) There is no peer-reviewed, scientific data on the vast, vast, vast majority of pet foods sold today. No independent or government-related agency has gone into pet food stores and tested the quality or nutritional profile of the pet foods on the shelves. We have absolutely no data whatsoever that FidoFeed is better than FidoChow. Just as pet owners have little to go on when choosing foods, veterinarians have no research to help guide our clients as to which foods are best. 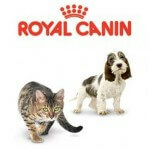 Choosing a pet food is often a leap of faith, as a result. 2.) Just recently, there was a major lawsuit filed against the Blue Buffalo Company. The lawsuit alleges that Blue Buffalo has falsely advertised the ingredients contained in their foods, stating that they contain no chicken by-products. This is the second lawsuit of this nature against Blue Buffalo, and it is representative of the rampant problem of misleading marketing propagated by pet food brands. We have all been inundated with the television and print ads for Blue Buffalo, and as a result, veterinarians have seen a large number of clients begin to feed this food to their pets. Is there any data whatsoever that Blue Buffalo is better than Purina, California Natural or any other brand? Absolutely not. But their advertising may convince you otherwise. Blue Buffalo is the dog food trend of the moment, along with grain-free diets. 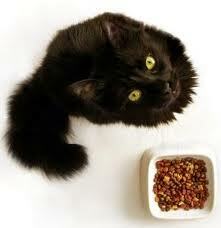 (See my previous post on grain-free foods for pets.) Over my career, I’ve seen so many food brands fade into and out of favor, and the trends seem directly correlated with the amount of money spent on advertising. 3.) There are only four pet food companies that have veterinarians on staff, and that conduct peer-reviewed, scientific research on their products. Only four out of thousands! As a scientist, I prefer to practice evidence-based medicine, and make medical recommendations based on research and hard data. We are completely lacking data in the pet food industry, with the exception of the few companies who have veterinary nutritionists on staff, and have spent decades publishing research about their products. Those companies are: Purina, Science Diet/Hill’s, Eukanuba/Iams and Royal Canin. There are many criticisms of these companies, most of which are unfounded, but the reality is that these are the only pet food manufacturers who have veterinarians on staff, who vigorously test the quality of their products, and who publish data to support their claims. 4.) Many of our clients choose pet foods based on recommendations from pet store clerks, or from food company representatives stationed within pet stores. It’s understandable that pet store and pet food employees are sought out for their knowledge, since (as we’ve already discussed) there is little transparency and even less information available in regard to pet foods. Ask yourself this question: Would you go to the grocery clerk stocking shelves and ask for dietary recommendations for your child? Of course the answer to this question is no, but that’s a fair comparison to asking a pet store employee for nutritional advice. When seeking nutritional advice for your kid, ask your pediatrician. 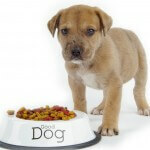 When seeking nutritional advice for your pet, ask your veterinarian! 6.) For those seeking more information, there are some resources available to help pet owners navigate the muddy waters of the pet food industry. The FDA has an extremely helpful website that explains how to interpret pet food labels. Tufts University School of Veterinary Medicine has a list of FAQ’s for choosing a pet food and The Ohio State University Veterinary Medical Center does as well.